Your customers are the most important aspect of your business. Without them, you would cease to exist. So keeping track of all your customer communications, associated tasks, and relationships is vital to the success of your business. If your business is not using a customer relationship management (CRM) system to store important customer information and data, you are setting yourself up for less than stellar customer relationships. All of our CRM software offerings can be integrated with your company’s ERP software to provide a more comprehensive business management solution. 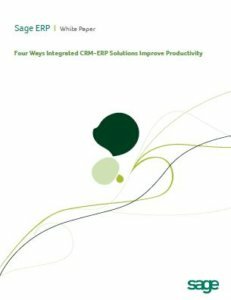 Contact Emerald TC today to learn more about the benefits of CRM-ERP integration.